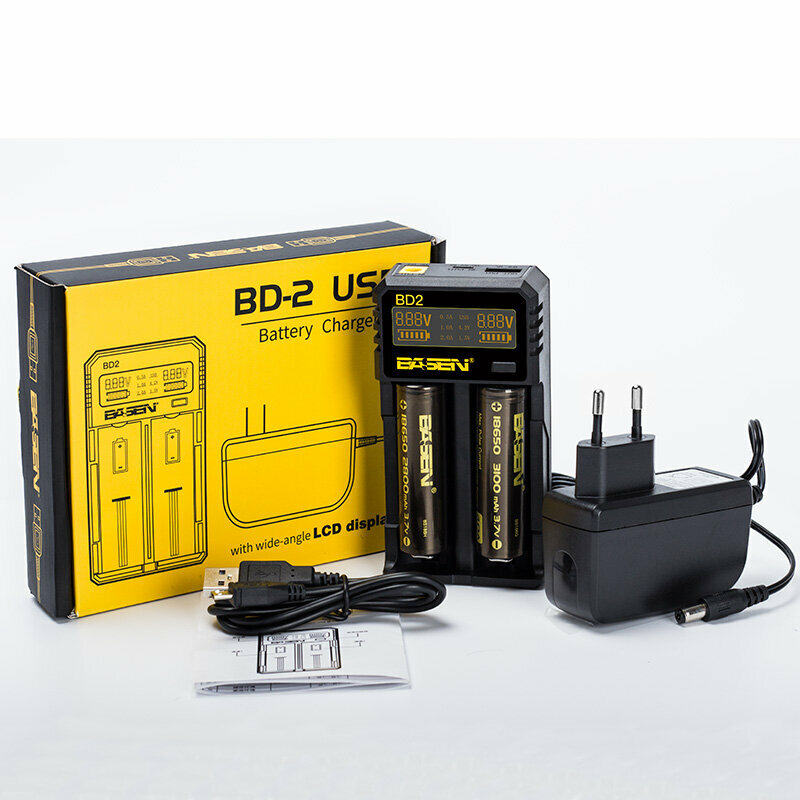 Basen BD2 is a high-end smart charger configured with wide-temperature control device, the product designed with two mutually independent charging channels, can ensure charging two pieces rechargeable batteries simultaneously. There are alternative different charging current options to meet the fast-charge and trickle-charge needs. 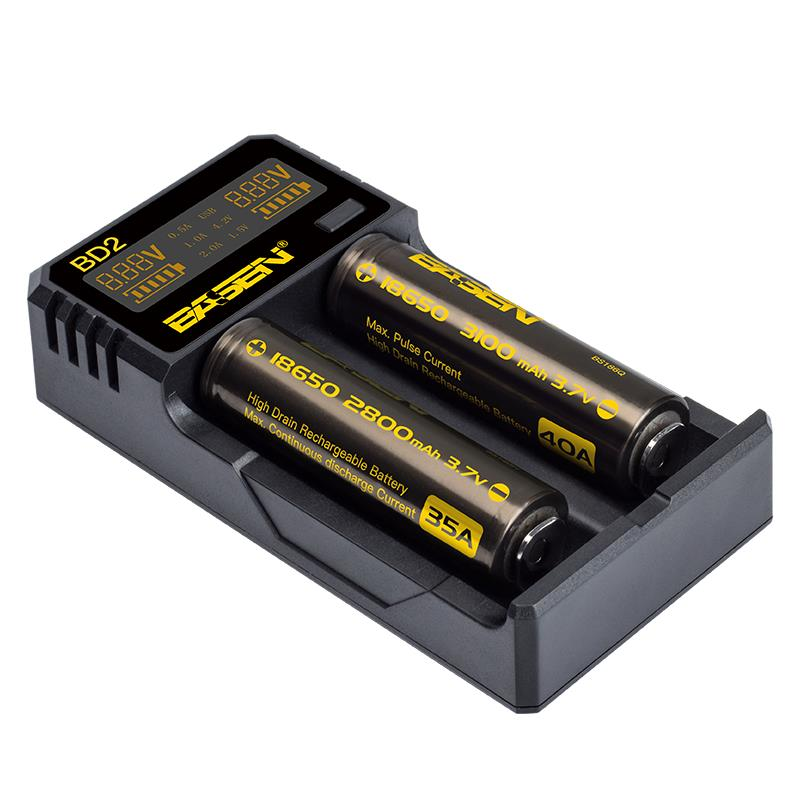 And the LCD screen can display the charging status of each single battery timely.The product features the safe charge and discharge management circuit, with multiple security protection settings, can effectively prevent reverse, short circuit, overcharge, over discharge, over-current damage to the battery, then ensure the safety of users to use at ease.The product sets USB output interface, possess mobile power function when accessing to lithium-ion batteries,which can charge iPad, iPhone and other digital products.Integrated digital LCD screen clearly displays charging progress, voltage, current while an intelligent automatic power-off function terminates current when charging is complete. When the charger is standby, if the low voltage battery (battery voltage ≤ 2.9V),correctly access to the charging channel, the charger trickle charge function will start, automatically activate the low voltage battery. Due to low-voltage battery over discharge times, capacity, over-discharge degree, the duration of low voltage and other factors, the activation time is very different. After the battery is activated, follow the charging process to charge. When the battery is full, the charger starts overcharge protection and automatically stops charging. If not remove the battery for a long time after full charging, the charger will consume a certain amount of battery power. When the battery voltage is lower than 4.0V, the charger restarts the charging function.